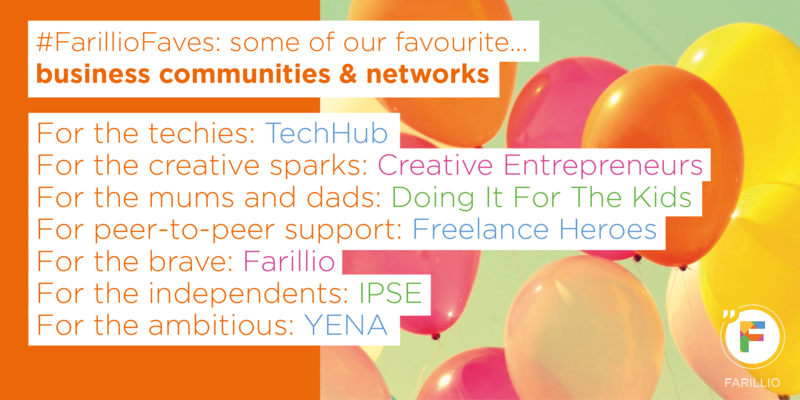 This November, we’re all about being collaborative as small businesses – and, in that spirit, we wanted to shout about some of our favourite communities for SMEs... because, from our experience, great things happen when you bring the right people and ideas together. And besides, no one can do everything themselves for too long. Sooner or later, you’ll need help with something - whether you’re looking for investors, customers, another pair of hands or just a little expert advice. Where better place to start when writing about our favourite communities than our home – TechHub. Set up back in 2010 on London’s Silicon Roundabout on Old Street, TechHub has quickly grown into a global business with 7 locations at present. From Bangalore in the east to Riga via Warsaw, and, of course, London. But, it’s not just the offer of a flexible workspace that appeals to so many businesses. At each location, there's a community of TechHub staff and members, supporting one another and helping to create new business opportunities. Whether that’s by bringing people together with an introduction, providing exposure through their international network, access to investors or their events and demo days. Each TechHub location also hosts hundreds of events each year, bringing together members and non-members alike. Of these, our personal favourite has to be TechHub Tuesdays, a monthly event where fledgeling startups get to test their pitch skills in a friendly and supportive environment. Go to TechHub for more information, including the full list of office locations and upcoming events calendar. A platform for entrepreneurs from the creative industries to access the resources and networks needed to grow their businesses. Creative Entrepreneurs' mission is very close to our heart – they want to nurture talent and help people start and grow their businesses. In particular, they focus on creative professionals and their industries and they do this via their website, events and membership programme. Prior to starting Creative Entrepreneurs in 2016, founder Carolyn Dailey noticed a problem – namely that for and her friends from the creative industries, a lack of business training and support was holding them back from achieving their full potential. At the same time, she’d noticed that within the tech industry, this was far from the case. There was no shortage of “networking, mentoring opportunities and business support events”. And so, Creative Entrepreneurs was born, offering great deals on essential services to new and growing businesses, as well as a packed events calendar of Q&As, networking events and intensive courses on the startup essentials. All with a creative twist, of course. Head to Creative Entrepreneurs to find out more, including a list of membership benefits and events calendar. A community for freelance and self-employed mums & dads, offering a place for these busy parents to share their experiences and support each other. Being self-employed and maintaining a good work-life balance can be hard. There’s the long hours, a lack of full-time job security, the feeling of isolation that can come from working alone, to name but a few common complaints. So throw the responsibilities of being a parent into the mix and you’ve got a growing community with unique challenges – all trying to do their best for both their kids and their clients. Doing It For The Kids (DIFTK) aims to help freelance and self-employed parents by bringing them together into one place. Somewhere they can share their knowledge, their tips and their experiences – both good and bad – and, most importantly, support one another. Since DIFTK first started, the community has really taken shape around that simple idea and now, from taking their first steps as a blog, they’ve grown into organising meetups, running surveys and offering free resources. Visit Doing It For The Kids and get involved with the Facebook community. Also, download their amazing guide on child-friendly co-working spaces. A community for freelancers from all over the UK, offering a sales-free space to chat, share ideas and collaborate. When you first start out freelancing or building a new business, each bump in the road or hurdle on the horizon can lead to sleepless nights. After all, if you don’t have the experience behind you or the knowledge and expertise to press ahead and take the next step, how can you be sure you’re doing the right thing for your business? Freelance Heroes wants to help. They believe that freelancers should collaborate rather than compete with one another, and that by pooling our expertise, we can improve our knowledge and make connections – growing the strength of the community as a result. Whatever challenges you’re facing, be they operational, a crisis of confidence or something completely unforeseen, you can find support among their network of freelancers across all industries. 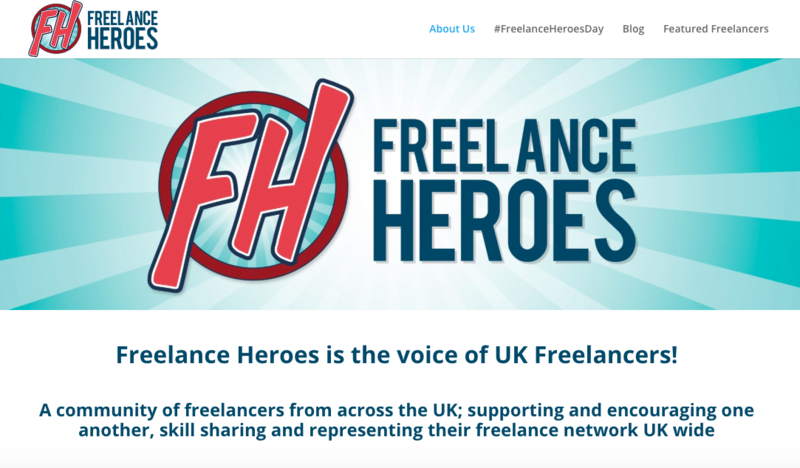 Head to Freelance Heroes, the Facebook community and join in in the @FHChat on Twitter! And don't forget to add #freelanceheroesday (May 19th 2019) to your work diary! The platform that recognises the courage it takes to run a business and aims to empower the UK's small business community to take control of their legals. We may only have launched last April, but already we’ve enjoyed building a fab community of small businesses, freelancers and sole traders. And by partnering up with absolutely brilliant experts who join the dots between law and everything else involved in running a biz – all of whom are as passionate about supporting small businesses as we are – we’ve plugged into their fabulous communities too. So together, we’re making all branches of business, not just the law, easier for the SME community as a whole. After all, the more we hear from you, either online, via social media, or in person at TechHub or at an event, the more our materials can be tailored to what you really need and, in turn, the more empowered the SME community can be. Take a look at the amazing business experts we've teamed up with and join the Farillio community by setting up your own account! And you can add to the conversation on Twitter too! IPSE (The Association of Independent Professionals and the Self-Employed) is the voice of the UK’s self-employed population, championing the interests of their community whilst supporting the individuals that make it up. IPSE’s combination of top-notch research, a hugely varied events calendar and a variety of great partner offers make them a one-stop shop for freelancers and the self-employed. And as freelancers become a larger and larger contributor to the UK economy, it’s important that they can speak with a unified voice. IPSE groups their vast community together so that they can shout louder for better support from the government and big business. Initially started in 1999 in response to the IR35 rules that placed extra burdens on freelancers, IPSE has swelled to a community of 74,000 members from all industries. The benefits of membership extend from training and networking opportunities to stimulate the growth and support of newly christened and hardened freelancers - to legal advice, sick pay and many of the other benefits employees can traditionally rely on as a safety net. On top of all that, IPSE also run webinars and events up and down the country, all year round. Ranging from informal networking events and live Q&A sessions, to financial advice and up-to-the-minute reaction to the latest developments affecting freelancers. You can head to IPSE for more details on how they work and how you can join. And check out their events page too for upcoming webinars, networking events, awards, and more! An events and business support service that aims to energise and educate the entrepreneurial community. While initially set up as the Young Entrepreneur’s Networking Association, Yena has evolved from an organisation that concentrated on fostering the next wave of talent in England’s south-west into a fully fledged business support service. Whilst their networking events haven’t gone anywhere – in fact, they’ve expanded to locations across the UK, even as far as Melbourne, Australia – Yena's focus has shifted to sourcing the best products and services to help boost their community to the next level. Now, by offering entrepreneurs both a place to meet and connect along with all the tools they need to flourish, Yena makes it easy for entrepreneurs to start and grow their business. Visit Yena for a complete look at their toolbox for entrepreneurs, along with a complete list of upcoming Meetup events. Voila, 7 of our favourite business communities – places that help you as a business owner to better collaborate with other entrepreneurs, or your customers, your suppliers, your investors, or even your children! We hope you’ve found somewhere here that seems like a place you can feel at home – and if you have any of your favourite business communities to recommend, let us know on Twitter!